This is called a recoupment. A recoupment is a request for a refund when a payer has issued an overpayment of funds. Most of the time I hear providers grumbling about a recoupment happening to them I notice that they seem to accept the decision for funds to be withdrawn or withheld (from future payments). You can apply for a hold on the recoupment for investigation. This is not merely a stalling tactic but time for due diligence to occur. You want to ensure that the recoupment is indeed valid. Insurance companies, like anyone else, makes mistakes. Many insurance companies will allow for 60 days for a recoupment related investigation. First and foremost, ask for documentation from the insurance company of what the reason for recoupment is, the patient account (s) involved, dates of service and procedure code. Second, you want to reference your contract to identify if the recoupment request is within the guidelines identified in the contract terms. Third, you also want to check with the insurance commissioner for your state to determine the state laws and regulations regarding recoupments. Some states have stricter timelines that limit the amount of time an insurance company can recoup funds. The state law, generally, trumps the contract terms. Fourth, identify who breached the contract terms. If the client/employer breached the contract, I typically make the case with the insurance company that the client/employer is liable for the recoupment since you honored your terms of agreement and provided services in good faith. Fifth, if the recoupment is triggered because the client has insurance under another plan and the refilling deadline hasn’t passed then you should resubmit those claims to that plan and attempt to be paid from the correct plan and make arrangements with the company requesting the recoupment. 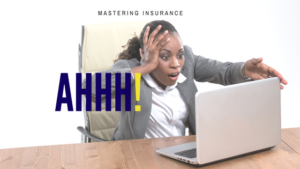 For more support with credentialing and billing join us in the Mastering Insurance Facebook Group and join our newsletter to get the latest information on all things credentialing and billing. We also offer courses on Billing and Credentialing. Want us to do the credentialing for you? Complete a quick questionnaire and get a custom quote. Previous Previous post: To Bill or not to bill…under another providers license?